Looking for new designers to drool over? 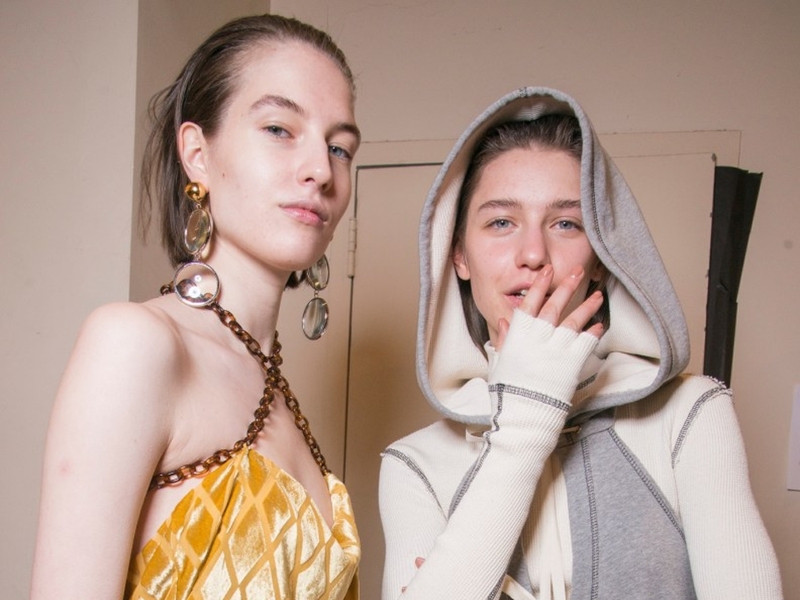 With New York Fashion Week over (milestone one of Fashion Month), we’ve rounded up our favorite up-and-comers poised for industry takeover. Debuting her sophomore collection at NYFW, Prisca Franchetti of Priscavera looked to Japanese video game “Tekken 3” for inspiration. However, the collection was anything but cartoonish or or comical. 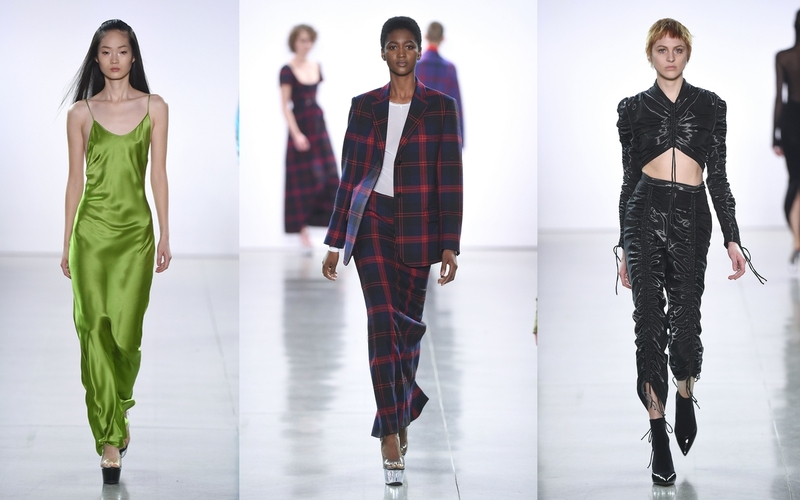 Instead, Franchetti offered up perfectly-tailored silks in wearable but punchy hues of chartreuse and baby blue, understated tartan separates, and ruched crop tops that managed to look refined—and avoid dreaded Instagram style bait territory. Sam Linder and Kirk Miller of Linder showed equally impressive ranges of clothing and accessories, a rare feat. Inspired by Artemis, the huntress goddess known in Greek mythology for protecting young girls and women, the collection was indeed a fierce one. 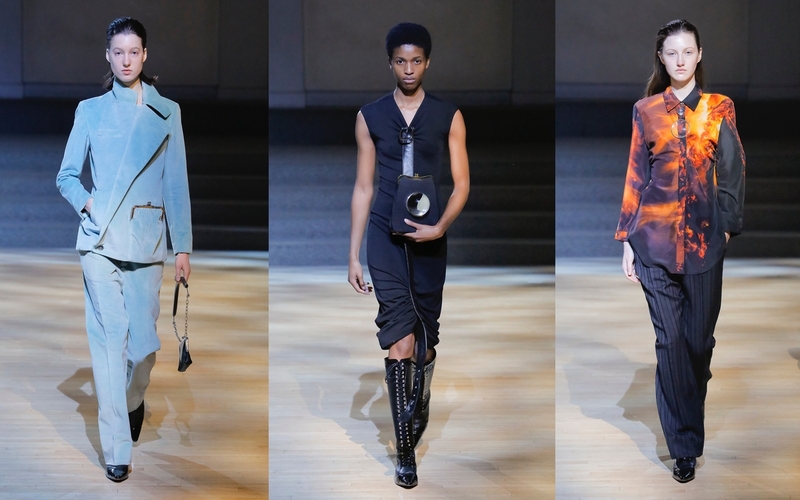 Models looked ready for the hunt in separates featuring large, utilitarian pockets with kiss-lock and drawstring closures; silk shirting printed with graphics referencing fire and water; and lace-up knee high boots that seemed to reference equestrian gear and the detailing of men’s brogues. Accessories were equally strong: some purses hung from archery bows while others featured crystal ball-like insets that, when in motion, revealed swirling holographic “animations” of lightning and fire. “I was trying to think of a woman who is not dressing for a man at all,” the designers said. Considering the show’s church setting and mystical music, it was certainly a spectacle that paid reverence to the Linder woman. Raffaella Hanley’s penchant for girly ornamentation—yarn flowers, sequins, feathers—and almost-exclusive use of dead-stock interior fabrics lends a romantic naiveté to her clothes. 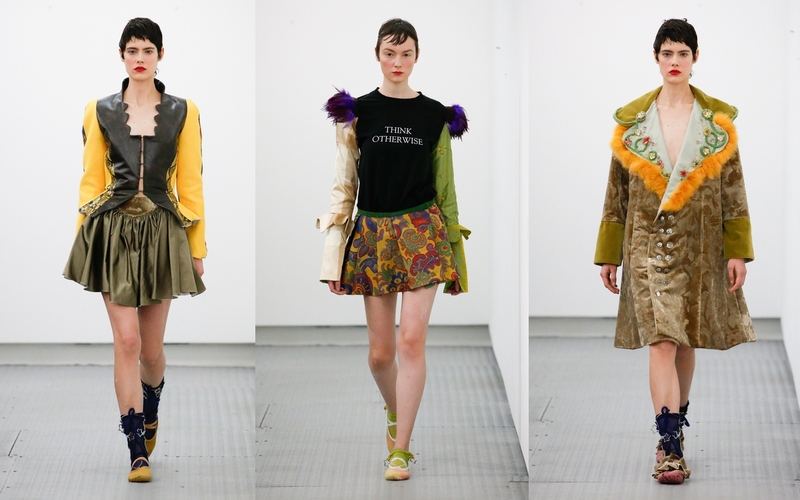 Consider the Renaissance-inspired touches (puffed sleeves, corseted torsos and frilly trims reminiscent of the period’s ruff collars), and the collection was fit for a modern-day fairytale princess. However, the Lou Dallas princess is anything but innocent: there was a distinct swagger to the collection’s outerwear and cropped, unraveling knits. Statement t-shirts that read “THINK OTHERWISE” and “FIGHTING SOLVES EVERYTHING” also lent a dark cheekiness to the show.